Expo lines tracks cross over Washington Blvd. 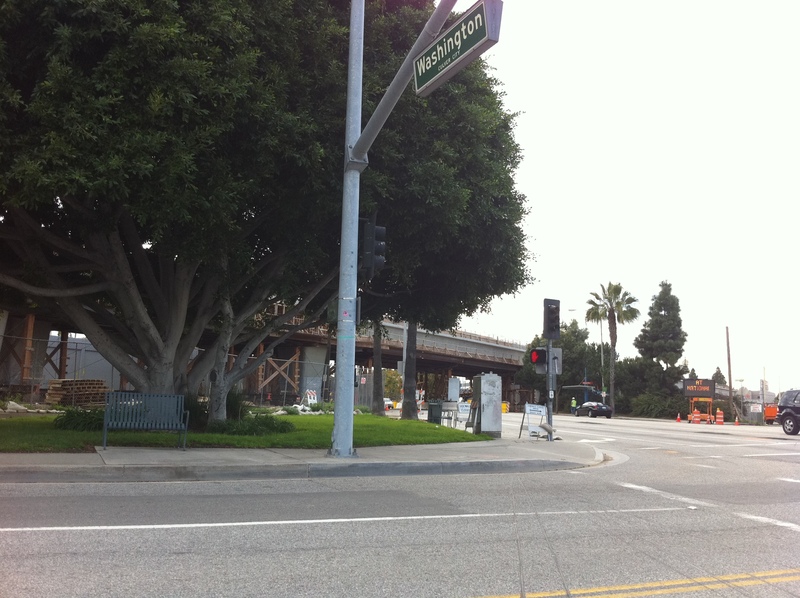 and duck behind trees before heading towards the Phase 1 terminus at Venice Blvd. in Culver City.